Lander Nicodemus, Cheyenne, Wyo., was named Champion at the 2017 World Livestock Auctioneer Championship Midwestern Regional Qualifying Event. KANSAS CITY, Mo. — Lander Nicodemus, Cheyenne, Wyo., was named Champion at the 2017 World Livestock Auctioneer Championship Midwestern Regional Qualifying Event. 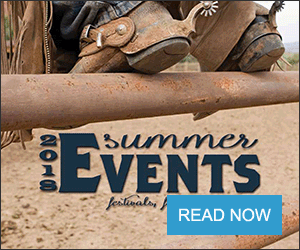 West Point Livestock Auction, West Point, Neb., hosted the final of three WLAC qualifying events. A total of 26 contestants competed for a top 10 placing, granting them a spot in the 2017 WLAC at Public Auction Yards in Billings, Mont. Nicodemus is sponsored by Torrington Livestock Markets, Torrington, Wyo. 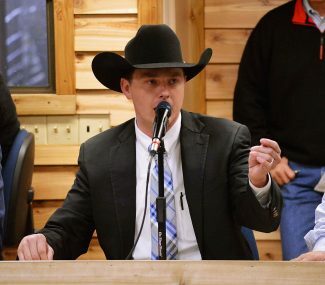 Following college, Nicodemus was trying to find his way in the career world and consulted with his father, who had previously attended auctioneer school and worked for Torrington Livestock Markets, on becoming an auctioneer. 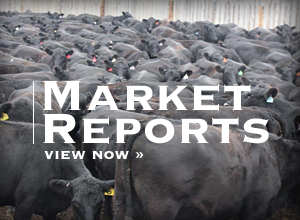 After some instruction, and a few years practicing his chant "behind the wheel" of a truck at a Nebraska feedyard, Nicodemus decided he was ready to move back to Wyoming and paid a call to Lex Madden at Torrington Livestock Markets. Fast forward to today. Nicodemus admits that he was not necessarily looking for an auctioneering job when he called Madden, but after time spent as a field representative, received a chance to sell cattle. The auctioneer has progressed from selling weigh cows to larger feeder cattle sales. He considers his job at Torrington Livestock Markets to be a great mentoring opportunity with the Madden brothers, a pair of auctioneers who Nicodemus regards as two of the greatest. Lex is the 1998 World Livestock Auctioneer Champion, and Shawn won the title in 2001. This is the second year Nicodemus has competed in the WLAC Qualifying Events and also qualified for the WLAC. Looking to June, Nicodemus is "still on cloud nine and extremely honored" by his Midwestern Regional win but already has plans in store to prepare for the WLAC. Nicodemus says that he believes a WLAC win would be more than the actual honor of the title, but the opportunity to better himself through competition and represent the state of Wyoming, its livestock marketing industry and the producers he works for each sale day. Also making a great showing were Reserve Champion, Mike Godberson, Pawnee, Okla., and Runner-up Champion, Dan Koupal, Dante, S.D. The following contestants also qualified for the 2017 WLAC: Neil Bouray, Webber, Kan.; Ab Carroll, Downeyville, Ontario; Lance Cochran, Medford, Okla.; Brian Little, Wann, Okla.; Blake McDaniel, Tallassee, Ala.; and Jared Miller, Leon, Iowa. The Top Rookie award is given to the high-scoring, first-time contestant, and Cody Lowderman, Macomb, Ill., won the award and a spot at the 2017 WLAC. A live cattle sale took place with actual bidders in the seats. Contestants were judged on the clarity of their auction chant; vocal quality; ability to catch bids and conduct the sale; and if the judge would hire the auctioneer. Judges for each qualifying event are livestock market owners and managers from across the U.S. The Midwestern Regional was judged by Zach Boulineau, Wilkes County Stockyard, Washington, Ga.; Todd Eberle, Burwell Livestock Market, Ltd., Burwell, Neb. ; Greg Rus, Mitchell Livestock Marketing, LLC, Mitchell, S.D. ; Carl McKettrick, Jr., Arcadia Stockyard, Arcadia, Fla.; and Tim Starks, Cherokee Sales Co., Cherokee, Okla.